The AsphWax Simulators package is the most all inclusive, comprehensive package for crude oil hydraulics with asphaltene and wax deposition included! There is no need for multiple software suites, multiple imports and exports to simulate any situation. Everything is modeled and simulated in one place! With this brochure you will get an idea of what the AsphWax Simulators have to offer. See what the AsphWax Simulators look like and what they can do. 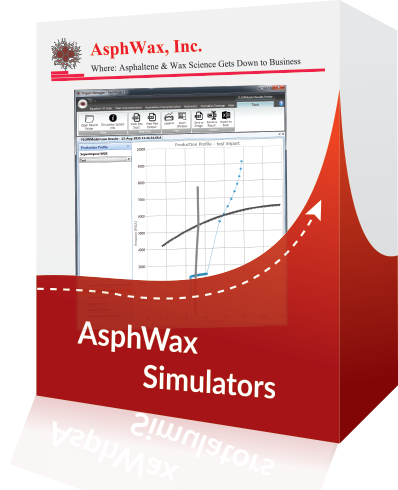 This short guide will show you the very basics and get you up and running with the AsphWax simulators quick and easy.